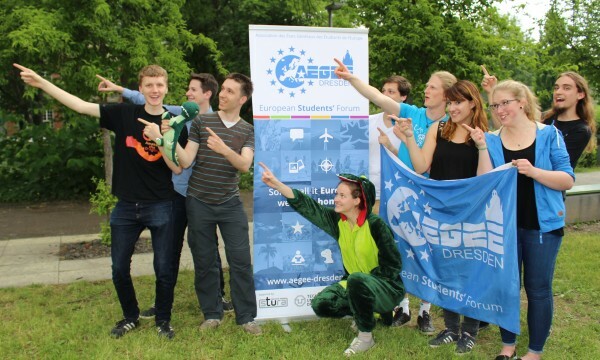 In the last years AEGEE-Dresden had many visitors that learned a lot about what we do, both in Dresden and in Europe. 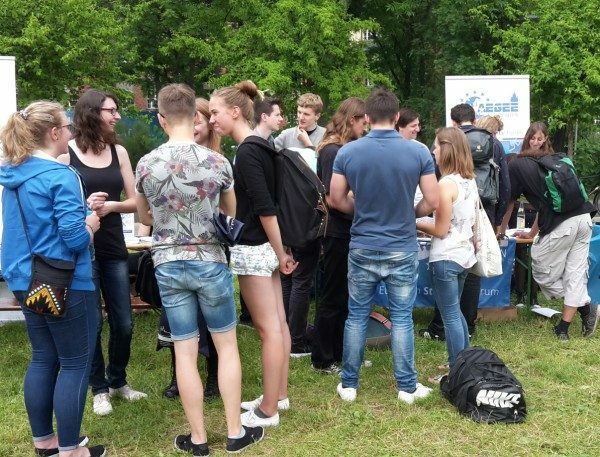 And of course we ourselves enjoyed it too because we met a lot of new students and had cookies and cakes that one of our members baked for us to support us at our booth. This year there will be something special: The ambassadors of this year’s Europe on Track project – the AEGEE project that won the renowned European Charlemagne Youth Prize will be joining us as they happen to be in Dresden during that day. The three ambassadors have been travelling through Europe in the past weeks to raise awareness on the important topic of civic education. They will talk about their experiences on their way to Dresden and inform you about Europe on Track and AEGEE. In addition, you get the chance to share your ideas about Europe’s future and civic education with them. Don’t miss this unique opportunity!